Looking for a weekend get together with friends or family that includes good food and tantalizing cocktails? If you haven’t experienced it for yourself, well we highly recommend you try Saba. With great cocktails and delicious Thai and Vietnamese cuisine Saba is the ideal location for the perfect kind of weekend. Located at 22 Upper Baggot Street in Dublin 4 on the banks of the Grand canal beside the Aviva and RDS Stadium, It is situated on a beautiful Victorian street with lots of interesting shops, cafes, restaurants and many of Dublin’s most famous historic pubs. 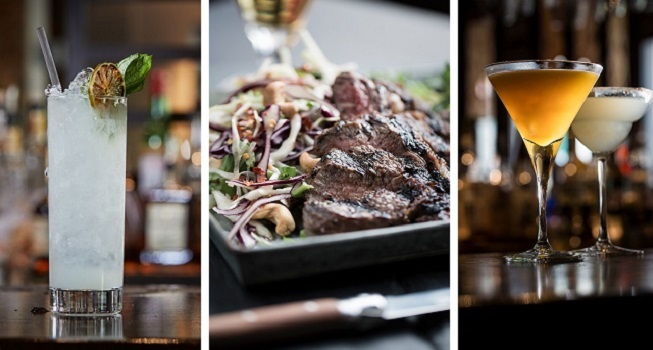 Exclusively on TheTaste.ie​, Saba Baggot Street is offering you the chance to experience Weekender Lunch and Cocktails for Two at Saba Baggot Street for only €29. This includes 2 main dishes and two Saba cocktails. To view Saba’s Cocktail Menu click HERE. – Choose one cocktail per person; options include a Bellini, Mimosa, Pornstar Martini and some of the Saba favourite cocktails. – A 12.5% ​discretionary gratuity is added to tables of 6 or more, 100% of all gratuities go to the team. – A designated amount of vouchers only are accepted each day, Advance booking is essential and is subject to availability.